Borough residents please note that there will be no RECYCLING collection on Friday April 19th because of the Holiday. Collection will take place as normal on Friday April 26th. Thank you for your understanding. Perkasie Borough is seeking residents that may be interested in volunteering to serve on the Perkasie Planning Commission. The Board meets on the second and fourth Wednesdays of each month at 7:00 PM. It is a unique opportunity for individuals to serve their community and be involved with critical issues of subdivisions, zoning, land use and planning. The term is for four years. 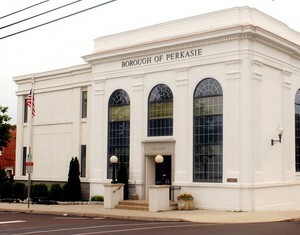 Perkasie Borough is seeking residents that may be interested in volunteering to serve as an alternate on the Perkasie Zoning Hearing Board. The Board meets on the fourth Monday of each month at 7:30 PM. As an alternate, an appointed resident would stand in for ZHB members that might be unable to attending hearings. The ZHB perform an important function in reviewing appeals and variances to the Borough Zoning Ordinance.The term is for three years. Perkasie Borough is seeking residents that may be interesting in volunteering to serve on the Perkasie Industrial Development Authority. The Authority is a conduit for private financing of economic development projects in Bucks County. Members serve a 5 year term. They meet only when they receive an application. 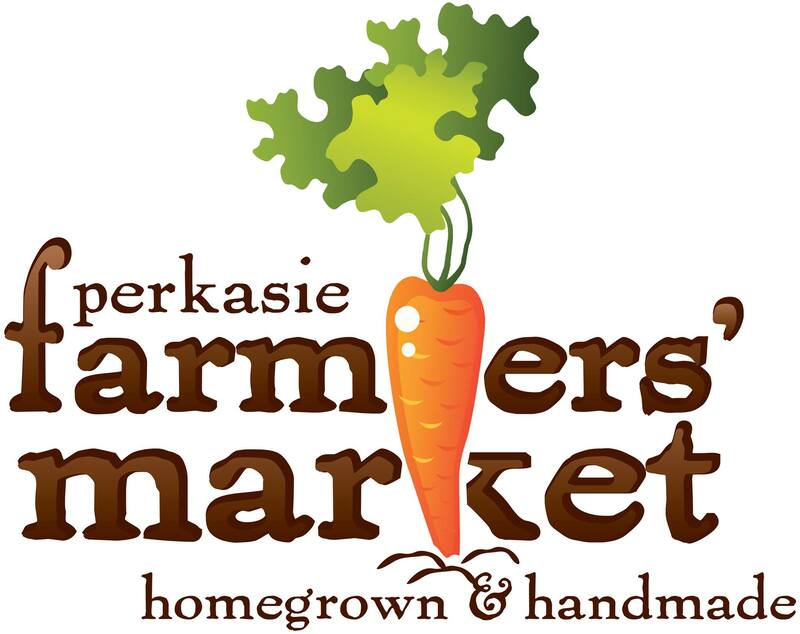 Interested Perkasie Borough residents may contact any Council member, the Mayor or by writing the Borough Office at 620 West Chestnut Street, Perkasie. An application form is available HERE or by calling the Borough Office at 215-257-5065. .
For many years, the Borough of Perkasie has installed small American flags on the decorative street light poles around town. The Borough Council has decided to move forward with a commemorative program that will allow the Borough to install much larger flags. Supporters are invited to consider “purchasing” a flag and custom commemorative plaque that will be installed on a street lamp pole in the Borough. Each memorial flag set purchased will consist of a 2 ½ foot x 4’ American flag, a spinner pole with gold top, and an 4” x 6” custom engraved memorial plaque. Each set will be installed by Borough employees. Custom engraving is limited to 20 characters per line, with a maximum of 4 lines. Perkasie Borough will begin curbside spring leaf collection starting on Monday April 15, 2018. Borough crews will make one pass through the Borough following the established routes. Residents are reminded that they must have their leaves curbside by 7:00 AM on Monday April 15. There will be no call backs for leaves placed out after April 15. Leaf piles should be placed so they do not block storm drains. Please ensure that the leaf piles are free of any stones or other debris that may cause injury to employees or damage to the machinery. Grass clippings and sticks will not be picked up by Borough crews and will be left curbside for residents to dispose of correctly. Residents are also reminded that they may drop off yard waste on the first Saturday of every month at the Borough Recycling Center located at 311 S. 9th St. Drop off begins at 7:30 AM and ends promptly at 3:30 PM. No late arrivals please. Leaves and other yard waste being brought in must either be in cans or paper bags. No material will be accepted in plastic bags. This is a free service provided by the Borough for Borough residents only, no contractors are allowed. Proof of Borough residency may be required and must be presented if asked for by the attendant. Please follow the signs and the attendants’ directions at the recycling center for proper disposal site information. Please feel welcome to contact the Borough with any questions concerning this leaf collection program at 215-257-5065. Borough residents are advised that our one time spring leaf collection will take place on April 15, 2019. Please rake leaves into street along the curb line. Do not block or clog storm drains. 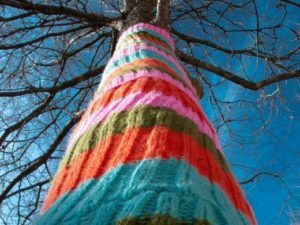 Perkasie’s Yarn Bloom created a massive fiber-art installation, transformed Menlo Park during the Spring of 2018, and involved over 150 volunteers. We are proud to announce that the program has won an Award for Excellence in Parks and Recreation Programming from the Pennsylvania Recreation and Parks Society. More information and photos are available by clicking here.